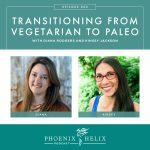 Can I Do the Paleo Autoimmune Protocol as a Vegetarian? 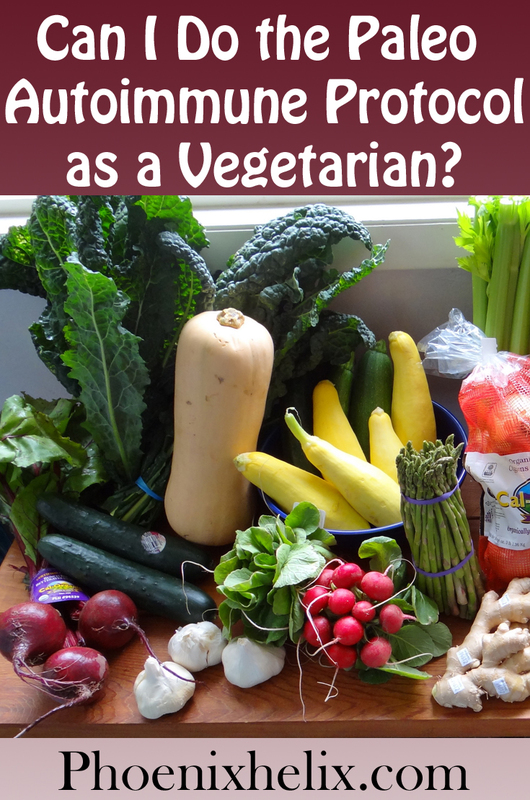 Can you do the AIP as a vegetarian? The short answer is no. Protein is a necessary food group, and the autoimmune protocol (AIP) eliminates most vegetarian protein sources (grains, soy, eggs, legumes, dairy, nuts and seeds). Why? Because these foods commonly irritate digestion and/or trigger autoimmune symptoms. That can be surprising to hear, because in our culture we’ve been taught that whole grains are good for us, and meat is bad for us. Unfortunately, mainstream beliefs rarely match up with the science. If you’re asking this question and researching paleo, I’m guessing your current diet isn’t improving your autoimmune symptoms, and you’re considering alternatives. Perhaps one of your healthcare practitioners has suggested you try the AIP. I know that if you haven’t eaten meat or seafood for years, possibly decades, it can be a hard thing to consider. So, first let me share the science with you, and then I’ll share some tips for making the transition easier. Meat and Seafood naturally contain all the amino acids necessary to make a complete protein. Plants don’t. That’s why vegetarians try to create complete proteins by eating grains and legumes together. This is a much less efficient process and doesn’t work as well to provide our bodies with the nutrition we need. In addition, grains and legumes contain anti-nutrients like phytates, lectins and trypsin. These make the nutrients within these foods difficult to absorb, decreasing their nutrition even further. These anti-nutrients can also irritate the gut and increase inflammation bodywide. Soy is a very popular “meat replacement” in the vegetarian community. As a legume, not only does it contain the same problems mentioned in the bullet point above, it has additional problems. Over 90% of soy in the United States is genetically modified, and the science of the effect of GMOs on our bodies is unclear. Soy also contains phytoestrogens, which can affect the hormone balance in our bodies. And hormone fluctuations impact autoimmune flares. Essential fatty acid balance is important in autoimmune healing. Our ancestors ate a 1:1 ratio of omega 6 to omega 3 fatty acids. Plants and plant oils contain the omega 6. Seafood and grass-fed meats and oils contain the omega 3. When we get too much 6 (as happens in a vegetarian diet), the response is an inflammatory response in the body. While certain seeds like flax and hemp are advertised as being high in omega 3’s, they contain the type ALA, when our bodies need EPA and DHA. Our bodies can try to convert the ALA into EPA and DHA, but it’s an inefficient process and very little gets converted. Bone broth is an ancestral food that is particularly healing to our intestinal lining, and there is a direct connection between “leaky gut” and autoimmune disease. Vegetarianism often leads to deficiencies in two very important nutrients: vitamins A and B12. While some vegetables contain these vitamins, they aren’t in a form our bodies can readily use. They need to be converted – again, an inefficient process. Animal foods contain these vitamins in the form we can immediately put to use for our health. Lastly, vegetarian diets tend to lead to low stomach acid over the long-term, and stomach acid is essential to healthy digestion. In the transition tips below, I share tips for increasing your stomach acid safely. Are you ready to start adding animal protein back into your diet? Here’s my best advice for making this transition as easy as possible. If you were a vegetarian for ethical reasons, you might be interested in The Vegetarian Myth, a book which talks about ethics from the opposite perspective. You can also make ethical choices about the meat you do eat, choosing meat from animals that were humanely raised. Get to know your local farmers and their farming practices, and shop from the best. 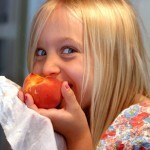 Localharvest.org is a great resource. Many long-term vegans and vegetarians have depleted stomach acid, and we need stomach acid to digest our food completely. With all of the antacid commercials on TV, this can come as a surprise, too. Far more people are deficient in stomach acid than over-producing. Indigestion often results from the stomach’s inability to digest the food, and antacids simply make this problem worse. Whenever we’re trying to heal our bodies, healing our digestion is a necessary first step. Some natural ways to increase your stomach acid are: (1) Chew on a piece of ginger before eating. (2) Have a small cup of ginger tea after eating. (3) Drink a tablespoon of apple cider vinegar in a small glass of water after eating. (4) Eat a little homemade sauerkraut with your meal. (5) Have a small glass of kombucha after eating. You’ll notice I’ve said “small glass” many times. If you drink too much liquid with a meal, you can dilute your stomach acid. Limit to 4-8 ounces. (6) If these natural methods aren’t enough to improve your digestion, work with a nutritionist on HCL supplementation. It’s important to work with a professional, because HCL can be dangerous for certain health conditions, and it can be harmful if you over-supplement. However, in the right dose, for the right person, it can make a world of difference. Seafood is one of the easiest proteins to digest, so it’s a good first choice for transitioning vegetarians. In fact, many people still call themselves vegetarians when they eat seafood, but the official term is pescatarian. What makes this protein special? In addition to having the most bio-available amino acids, seafood is also the richest source of anti-inflammatory DHA and EPA omega 3 fatty acids. Lastly, seafood contains abundant amounts of iodine and selenium, two important minerals that are hard to find in other foods. Sarah Ballantyne, author of The Paleo Approach, recommends people eat seafood at least 3 times a week on the autoimmune protocol. 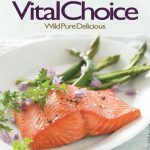 For more information on the healthiest seafood choices, read my article: Does Healthy, Sustainable Seafood Exist? Meat is also a dense source of nutrients, and the more varied our diet, the better our nutrition. Here are some steps to slowly accustom yourself to meat’s flavor and texture. Start with homemade bone broth. When you’re comfortable with that, make a soup with meat and vegetables and blend it all together into a thick soup. When you’re comfortable with that, don’t blend it – eat the meat and vegetables in chunks. When you’re comfortable with that, move onto stews and slow-braised meats (like roasts in the slow cooker). Meat cooked slowly at low temperatures, in broth or natural juices, is easier to digest than fried or grilled meats. Those would be the last ones to reintroduce. Organ meat is also an important part of any healing diet. They contain between 10-100 times the nutrition of other cuts of meat. It’s a myth that they store toxins. Actually, they store the nutrients our bodies need in order to detoxify. If you’re up for adding these into your diet right away, do so. Your body will thank you. Chicken livers are a good gateway organ meat. They’re mild in flavor and relatively easy to find. Try my recipe for Chicken Liver Fried “Rice”. 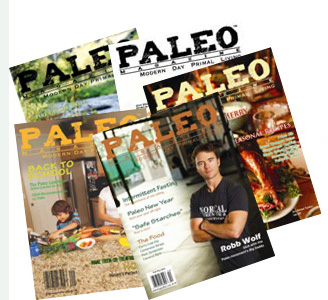 One last thing to know: Paleo isn’t a meat-only diet. It’s a diet focused on nutrient diversity and density, and that means plenty of vegetables. 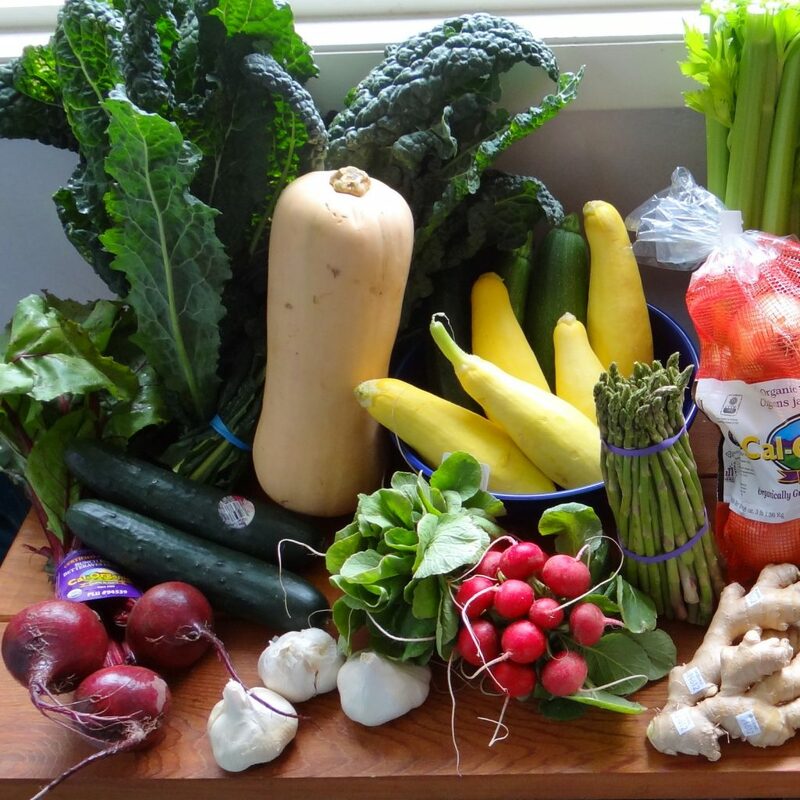 Terry Wahls recommends people eat 6-9 cups of vegetables daily (measured before cooking), and Sarah Ballantyne recommends even more: 8-14 cups. This is often more than vegetarians eat daily, hence the popular paleo hashtag #morevegetablesthanavegetarian. So, if you’re a vegetable lover, you’ve found a tribe of kindred spirits. You may find that you’re able to make the transition quickly, or it may take you many months of baby steps to become comfortable with this new style of eating. Keep your health your focus, and take whatever time you need. Many people start to feel their health and energy levels improve dramatically with this change. That’s my wish for you. 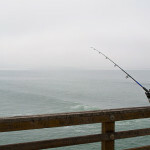 Does Healthy Sustainable Seafood Exist?